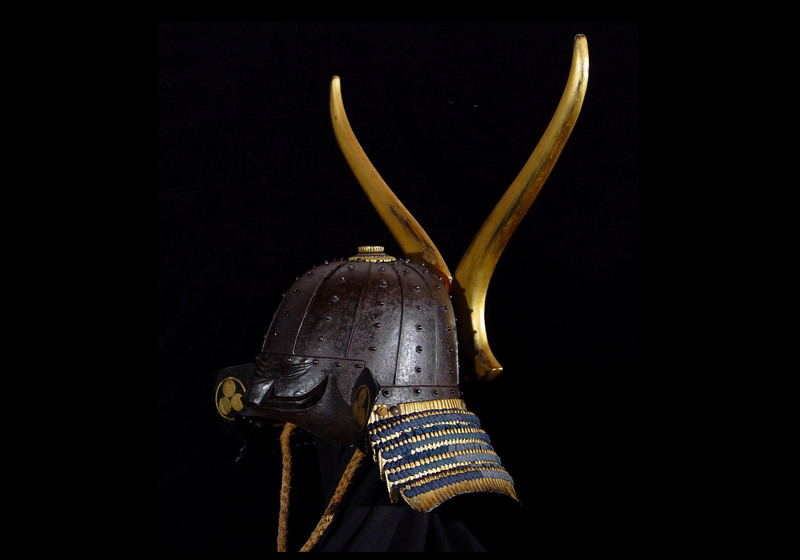 I am pleased to present this very nice russet iron Saiga kabuto. 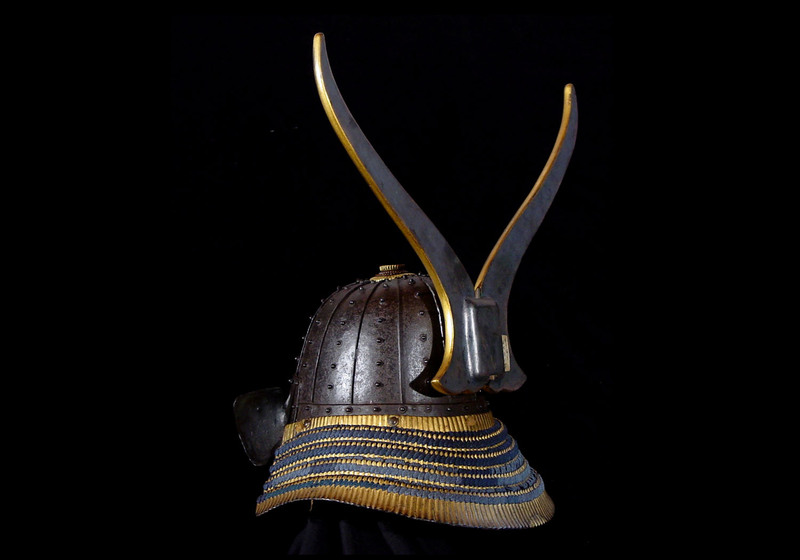 It is from the Edo period of the 17th to 18th century. 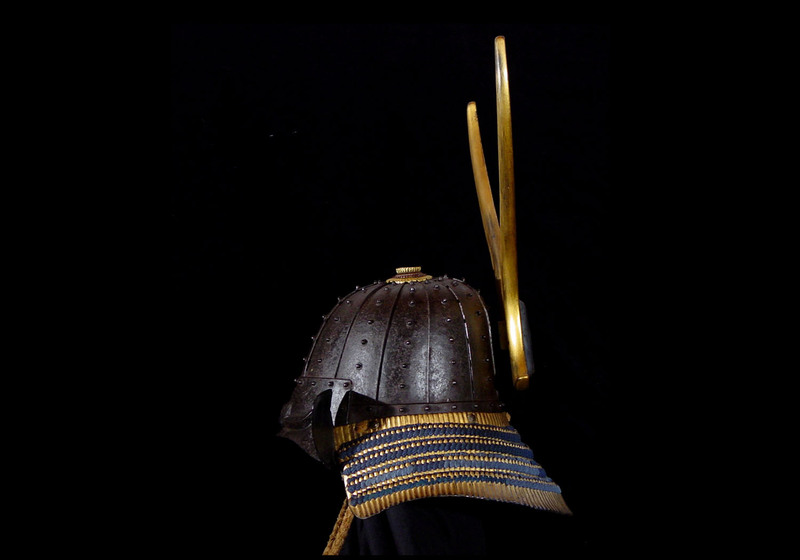 It is constructed of twelve vertical plates forming a high, domed helmet topped with a copper and gilt five stage tehen kanamono. 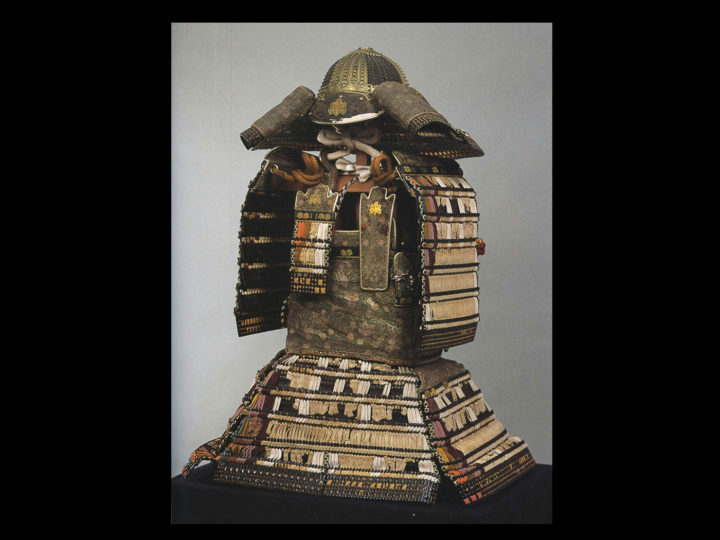 Each of the plates has exposed standing rivets on chrysanthemum bosses. 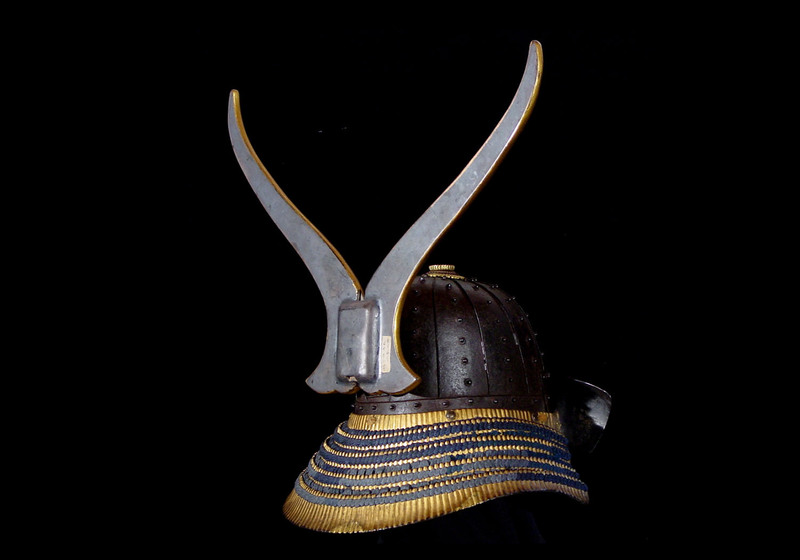 The mabizashi is embossed with wrinkles and eyebrows. 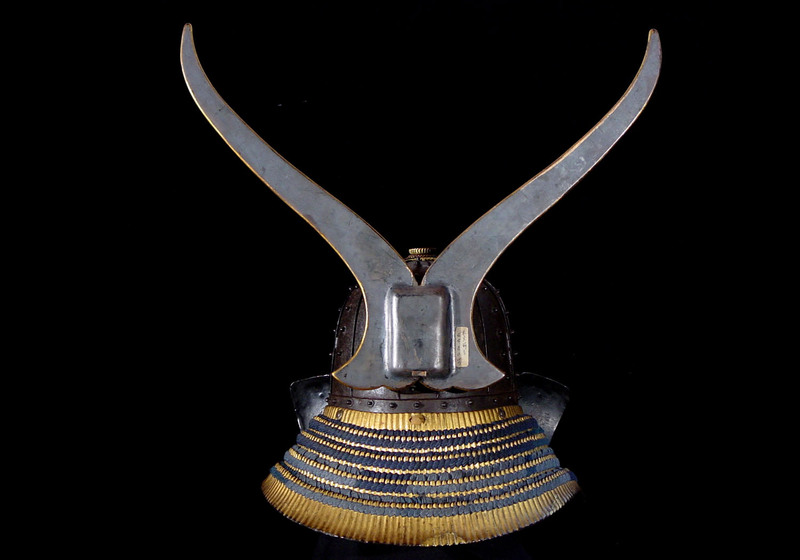 The bowl is fitted with a five-lame Hineno style shikoro that has been lacquered gold and laced in blue ito. 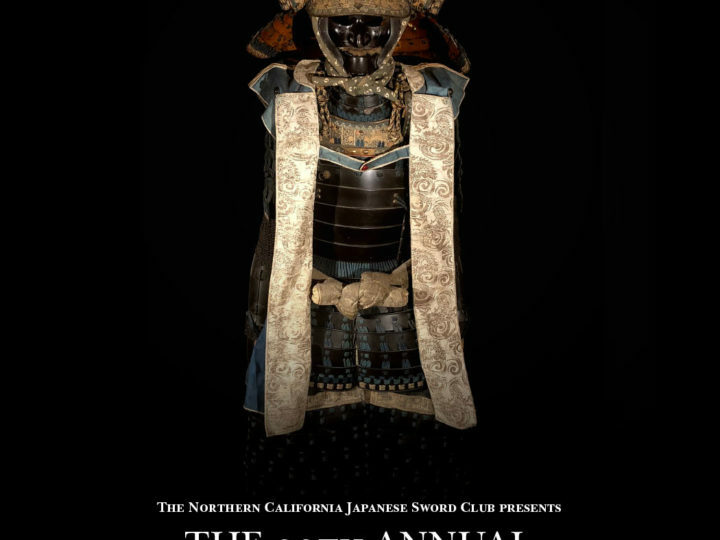 The top lames have a large fukikaeshi that has been lacquered black and display a family mon of three circles within a larger circle. 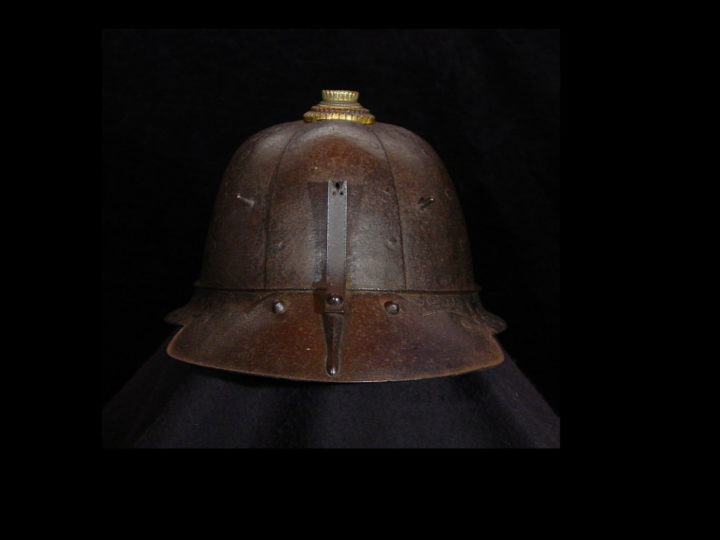 The interior of the helmet has the original cloth liner that has a few small tears but is for the most part intact. Because of the intact liner, I cannot tell if the helmet is signed or not. 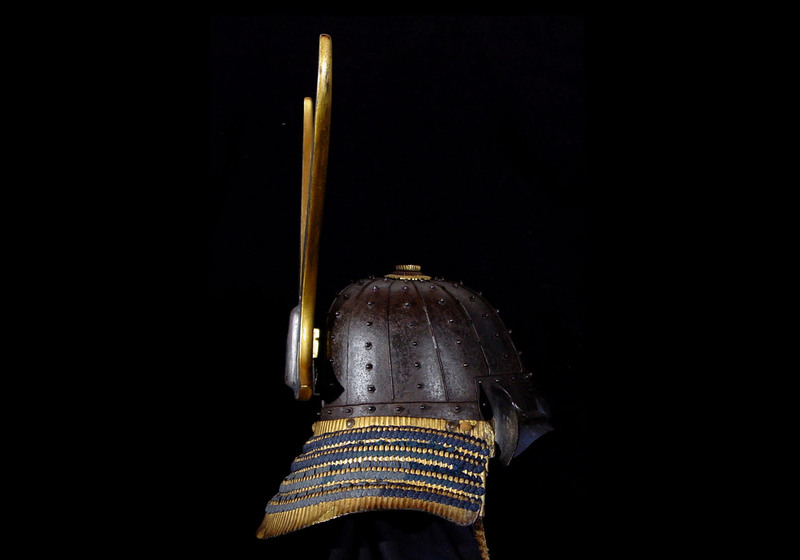 Attached to the inside is an old woven cord to attach the helmet to the wearer. 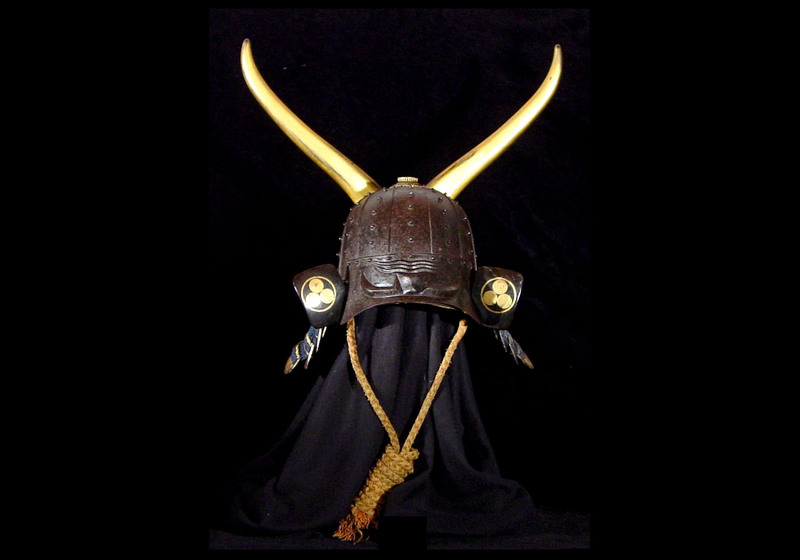 The helmet also comes with a gold-lacquer wooden ushiro-date forming a large set of horns. 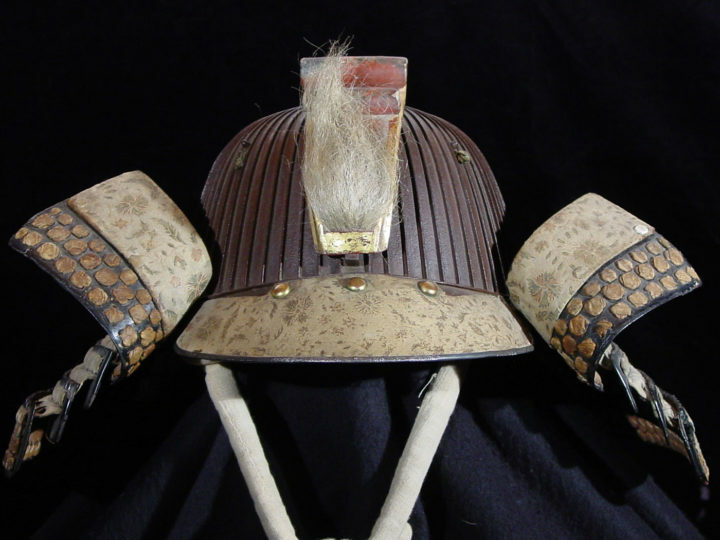 Helmets of the Saiga school tend to be rare and highly sought after by collectors. 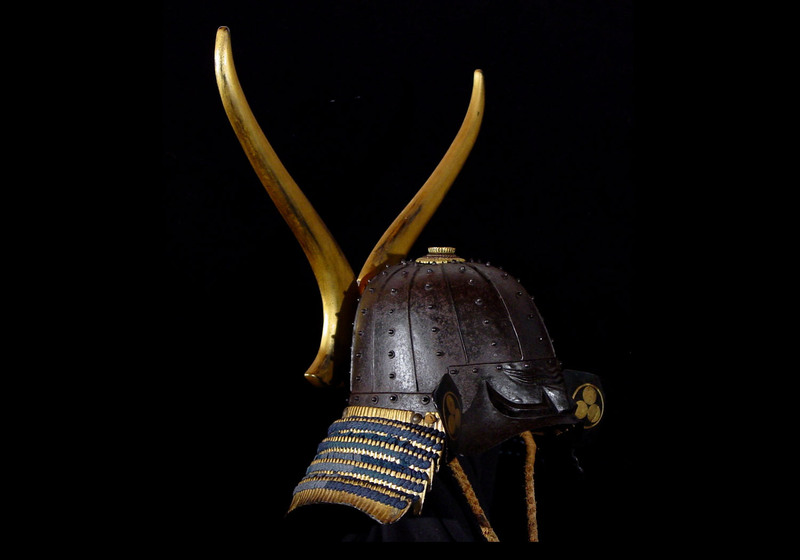 This helmet is in excellent condition.